Taking care of a packed to-do list can sometimes mean getting more done while away from the office. This HP ProBook 470 G5 17.3" LCD notebook is equipped with 16GB of DDR4 SDRAM, a 256GB SSD and IPS technology, helping you to work quickly and efficiently when you're on the go. 17.3" display with 1920 x 1080 full-HD resolution offers bright, sharp graphics. Get the processing power you need from an Intel Core 8th Gen i7-8550U quad-core 1.8GHz processor. Get the processing power you need from an Intel Core 8th Gen i7-8550U quad-core 1.8GHz processor. Runs your programs, apps, games and more. 256GB solid state drive can accommodate your files, songs, photos and documents. Solid state drives generally deliver a cooler computing environment, faster boot up times, lower energy usage and greater productivity than traditional hard disk drives. Features Wireless-AC (802.11ac) for high-performance, cable-free networking. Access wireless networks to share files, surf the Web and exchange e-mail. Fully compatible with 802.11a/b/g/n. Wired networking is also supported. Features 4 USB ports for ultrafast data transfers. Built-in, front-facing webcam lets you keep in touch via video messaging. HP devices powered by Windows 10 Pro provide the foundation, with comprehensive security and management tools, plus enhanced productivity, to keep your business on the right track. With built-in features such as Windows Hello*, take advantage of years’ worth of security advancements designed to protect your identity, infrastructure, and devices. Beyond traditional keyboard and mouse, Windows 10 Pro supports Windows Ink**, which lets you capture notes at the speed of thought. 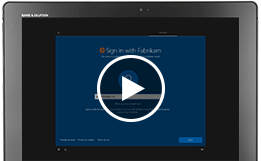 Windows AutoPilot capabilities enable the quick and easy transformation of new devices into enterprise-ready machines, without imaging and with flexible methods. 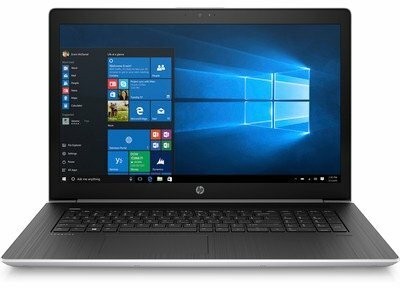 Full-featured, thin, and light, the HP ProBook 470 lets professionals stay productive in the office and on the go. Stylish design, linear precision, and subtle curvature plus Quad Core1 performance and long battery life make this ProBook essential for today’s workforce. The HP ProBook 470 delivers stylish design to every business. A slim chassis in a refined new natural silver finish includes a keyboard deck made of durable premium stamped aluminum. Experience vivid audio engagement and an easy conferencing experience with the Skype for Business™ Certified HP ProBook 470 with HP Audio Boost, HP Noise Cancellation. Experience the new features of Windows 10 Pro on the thin and light HP ProBook 470. Battery life that gets you through the workday and beyond. Fast charge 90% in 90 minutes. Stand up to the workload with a ProBook that passes MIL-STD 810G testing. 1 Quad Core processor sold separately or as an optional feature. 2 Sold separately or as an optional feature. 3 For storage drives, GB = 1 billion bytes. TB = 1 trillion bytes. Actual formatted capacity is less. Up to 30 GB (for Windows 10) is reserved for system recovery software. 4 NVIDIA® technology requires an Intel® processor, plus an NVIDIA® GeForce® discrete graphics configuration and is available on Windows 10 Professional OS. With NVIDIA® Optimus™ technology, full enablement of all discrete graphics video and display features may not be supported on all systems (e.g. OpenGL applications will run on the integrated GPU or the APU as the case may be). 6 Supports SD, SDHC, SDXC. 7 HP BIOSphere Gen4 requires Intel® 7th or 8th Generation processors. 8 HP Client Security Suite Gen3 requires Windows and Intel® or AMD 7th or 8th Generation processors. 9 Secure Erase for the methods outlined in the National Institute of Standards and Technology Special Publication 800-88. Supported on Elite platforms with BIOS version F.03 or higher. 10 Absolute agent is shipped turned off, and will be activated when customers activate a purchased subscription. Subscriptions can be purchased for terms ranging multiple years. Service is limited, check with Absolute for availability outside the U.S. The Absolute Recovery Guarantee is a limited warranty. Certain conditions apply. For full details visit: http://www.absolute.com/company/legal/agreements/ computrace-agreement. Data Delete is an optional service provided by Absolute Software. If utilized, the Recovery Guarantee is null and void. In order to use the Data Delete service, customers must first sign a Pre-Authorization Agreement and either obtain a PIN or purchase one or more RSA SecurID tokens from Absolute Software. 11 HP Password Manager requires Internet Explorer or Chrome or FireFox. Some websites and applications may not be supported. User may need to enable or allow the add-on / extension in the internet browser. 12 Windows Defender Opt in and internet connection required for updates. 13 HP Drive Lock is not supported on NVMe™ drives. 14 Miracast is a wireless technology your PC can use to project your screen to TVs, projectors, and streaming media players that also support Miracast. You can use Miracast to share what you’re doing on your PC and present a slide show. For more information: http://windows.microsoft.com/en-us/windows-8/project-wireless-screen-miracast. 15 HP ePrint Drive requires an Internet connection to HP web-enabled printer and HP ePrint account registration (for a list of eligible printers, supported documents and image types and other HP ePrint details, see www.hp.com/go/eprintcenter). Print times and connection speeds may vary. 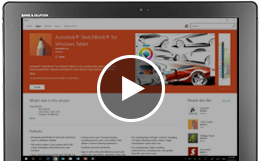 ** Device dependent; Windows Ink requires touch capable tablet or PC. Pen accessory may be sold separately.